Let’s resonate to the energies of the holidays that are fast approaching. Whether decorating eggs and making a special cake for Easter, or polishing the family candelabra and chopping ingredients for charoses (a special Passover food mixture of nuts, apples, cinnamon, and wine reminiscent of the mortar used by Jewish slaves to build the houses of Egypt), Jewish and Christian families across the globe are preparing their minds, hearts, and homes for two of the most important holidays of the year. And today, I would like to add in a multi-dimensional and energetic perspective to our understanding of these two holidays. First, let me explain what I mean by a multi-dimensional perspective. This viewpoint looks at the energies behind, in, and around an event, person, or place. In this instance, we will explore the messages of the holidays that are expressed by energies that are real, but unseen. They are sensed and felt, rather than revealed by what is done, said, or eaten. Both of these holidays are focused on the miraculous, and I ask you to explore those miracles from within, to think about what these ancient celebrations represent in terms of both the present season, and the changes to come in 2012. Let us begin with Easter - the celebration of the life, death, and resurrection of Jesus Christ. This is a perfect reflection of the multi-dimensional perspective as millions around the globe celebrate an event that no one alive has ever witnessed. I am not saying that it is not true; rather I am indicating the importance of belief and asking you to consider the truth of the subtle realms. The realms where vibrations move so rapidly that you cannot see them and they must be validated by your intuition and guidance. This is the same realm in which miracles occur. What a perfect time of year to dig deeper! The story of Christ’s return to life remains an inspiration for many. To live an eternal life, to override the boundaries of the earthly world is the dream of billions. Is the reference at Easter to that possibility yet another part of the unfolding saga called the energetic evolution? As our vibrations speed up, is it possible that you and I will be able to slip out of our earth suits and live on in our energetic bodies? Is it possible that with Spirit’s help that is what Jesus did? Is it possible that the energetic evolution culminating in 2012 is actually what happened to Jesus? I ask you to explore that possibility with not just your mind, but your spirit. And what about Passover? : What are its predominant themes? The miraculous ‘passing over’ or saving of the first born sons of the Jewish families, the successful flight of the Jewish people from slavery in Egypt, the seeming magical manifestation of manna (a substance supplied as food to the Jews as they crossed the wilderness), and the astounding division of the Red Sea to enable the Jews to cross through the waters to dry land, thereby escaping Pharaoh’s soldiers. How did those events occur? They are not events we have ever witnessed with our five senses. They are miraculous, and they have been celebrated for thousands of years. And again, we are greeted with the concept of escape from earthly constraints. Is it possible that they, like the themes of Easter, are reflections of the energetic evolution that is coming to a climax in December 2012? Is it possible that we live in a multi-dimensional world that has endless possibilities that we have not yet acknowledged? Is it conceivable that Passover and Easter reveal reflections of what did occur and some hints of what is possible in the future? I believe it is. Whatever holiday you celebrate, may you be blessed with openness and trust and may the ‘magic’ of the energetic vibrations surround your celebrations and your life. Author and energetics expert Elaine Seiler (SAY Sigh-ler) is at the forefront of explaining humanity's "energetic evolution" and how we can cope and thrive in the face of rapid change. 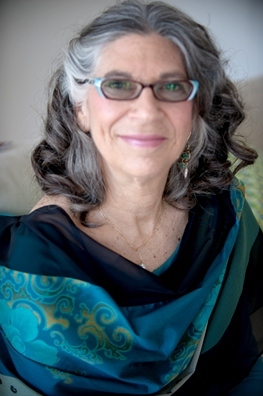 Elaine is a life and career coach, researcher, mother and grandmother. In 1992, after 20 years of work as a career consultant and life coach, she discovered energetics, the study and use of multi-dimensional energies and their interplay with life on earth. She is the author of Multi-Dimensional You: Exploring Energetic Evolution and Your Multi-Dimensional Workbook: Exercises for Energetic Awakening. Learn more at www.transformationenergetics.com and www.multi-dimensionalyou.com. Contact Elaine at Elaine@transformationenergetics.com.